Mediation is a process that involves resolving your divorce issues and coming to an equitable agreement with the help of a neutral third party mediator. It’s considered to be the best way of settling a divorce in most cases. In fact, even if you or your spouse, or both of you, don’t think mediation may be a viable option, you should consider giving it a try. At Santa Clara Divorce Mediation, we offer you a free confidential consultation so there is nothing to lose and no risk. In cases where a couple mutually decides that the marriage is over, the mediation process may be easier. Both spouses are ready to move forward with their lives and are ready to end their relationship. In this type of scenario, the process is often embraced by both parties as a cost and time-efficient solution to ending the marriage. Mediation empowers the couple since they will be making their own decisions regarding the issues involved. They will each have their own say and be able to negotiate a successful conclusion. This is in stark contrast to the problems that arise when using expensive lawyers. When the judicial system is involved it is much harder to get things worked out successfully for both parties. Mediation is almost always the best solution for divorces that involve only one spouse wanting to leave the marriage. When lawyers are used in these situations, the person that doesn’t want the divorce may resort to complicated legal maneuvers to stall the process. When a lawyer can delay the divorce proceedings, he’ll end up making more money as a result and will support the delays. Mediation, on the other hand, involves working with the spouses so that they can understand why it is important to resolve the issues in a timely fashion. 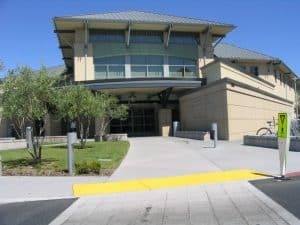 At Santa Clara Divorce Mediation, we often help the both spouses understand that it is a legal right to be able to get divorced, and that it is better to cooperate with the spouse who wants the divorce rather than try to delay it. We can often give consultation to the spouse seeking divorce so that he or she can exercise his or her legal right in a friendly and cooperative way. Mediators have experience and training in regards to working with one-sided divorces and getting them to resolve to everyone’s satisfaction. At Santa Clara Divorce Mediation, we are happy to provide both consultation to the party seeking divorce or to both parties to help them understand the value of a cooperative mediation. If you want to stay on good terms with your spouse after the divorce, it will be much easier if you use a mediator to resolve the conflicts. This is especially true when children are involved. If, on the other hand, there are very strong feelings of animosity between one spouse and the other, there are ways to deal with this as well. The end of the marriage always involves two sides, to one degree or another. It can be difficult to reach any agreements when one spouse blames everything on the other. It’s important to take joint responsibility and overcome resentment during the mediation process. By doing this, both parties will feel better about the divorce proceedings as a whole and they may even discover that their animosity dissipates during the mediation process. Mediation provides a cooperative communication structure to attain a win-win outcome for both spouses. Financial issues are often one of the most important aspects of a divorce. It’s a good idea to go into the mediation knowing beforehand what your financial situation looks like. Finances are an important part of any divorce and sometimes tempers can flare in this area. By using a mediator, you can often come up with solutions that work well for both spouses and in many cases financial problems that seemed completely unworkable have been sorted out. By using a mediator, you’ll save a lot of money by avoiding high-cost divorce lawyers. This will take a lot of the strain off of the financial issues. It’s important to stay as calm as possible during the mediation process. Losing your temper or acting in an aggressive manner can only slow things down. The mediator will help you communicate effectively even when emotions are heating up. You’ll learn how to better maintain your composure, respect each others opinions and take personal responsibility for your divorce situation. As a whole, you may grow as a person as a result of the divorce mediation.